2) Some articles that we should have access to are asking UBC patrons to pay. We hope to get the second problem sorted soon, but no time line at present. Stay tuned. Find out about the latest developments at UBC Library in the new issue of the BCLA Browser (Volume 3, Number 3). The Features section includes news about University Librarian Ingrid Parent taking on the presidency of the International Federation of Library Associations and Institutions; a new Director for the Irving K. Barber Learning Centre; the 2011 candidates for the B.C. History Digitization Program; and the launch of LibFOCUS, the Library’s new e-newsletter. The Member News section includes items about Melody Burton, Chief Librarian at UBC’s Okanagan campus, receiving the Canadian Library Association’s highest honour; the Library’s Joy Kirchner being named a Visiting Program Officer for the Association of College and Research Libraries; and the launch of the Library’s inaugural Community Report. 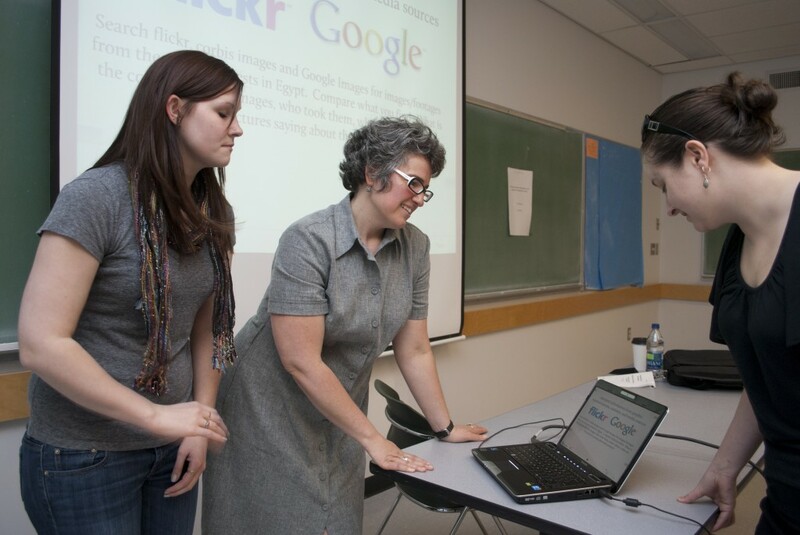 UBC’s Education Library hosted an information literacy mini-conference for secondary student teachers (teacher candidates) called “Digging Deeper for Understanding-Using Information Smarts in a Digital World” on June 8, 2011. The mini-conference was planned collaboratively with Dr. Kedrick James, a faculty member in the Department of Language and Literacy Education and Jo-Anne Naslund, Instructional Services librarian at the Education Library. The event was part of a required course for all secondary teacher candidates (Language Across the Curriculum in Multi-lingual Classrooms). Youth are increasingly using the Internet and social media for school purposes – gathering information for assignments, collaborating as they study and using Web 2.0 media to present their work. The standing room only conference attracted close to 200 participants. The conference aimed to address key questions such as how teachers and teacher-librarians can develop collaborative strategies to address new literacies and forms of learning, and how students can be taught to navigate the world of online information. Topics included designing effective research assignments, using mobile technologies, copyright, and engaging adolescents critically in new literacies, reading, libraries and learning. Speakers included teacher librarians and Information Services co-ordinators from the Vancouver School District such as Heather Daly (Dist. 43), Moira Ekdahl (Dist. 39), Denis North (Dist. 39), Gordon Powell (Dist. 38) and Maryjanne Ysupf (Project Manager – ERAC). For more information on the Education library, visit its website.